Among efficiency-driven countries, Ecuador has one of the highest percentages of adults involved in new entrepreneurial activities in the world (33.6% of all adults between the ages of 18 and 64 years of age). One in three adults in the country are starting up or running a business no older than 42 months – a rate which has remained fairly stable over the last three years. Nevertheless, the percentage of adults that start a business out of opportunity is below the average for efficiency-driven economies and countries in the Latin America and Caribbean region. In 2015, on average, twice as many entrepreneurs in efficiency-driven economies said they were motivated to start a business to pursue an opportunity rather than out of necessity. 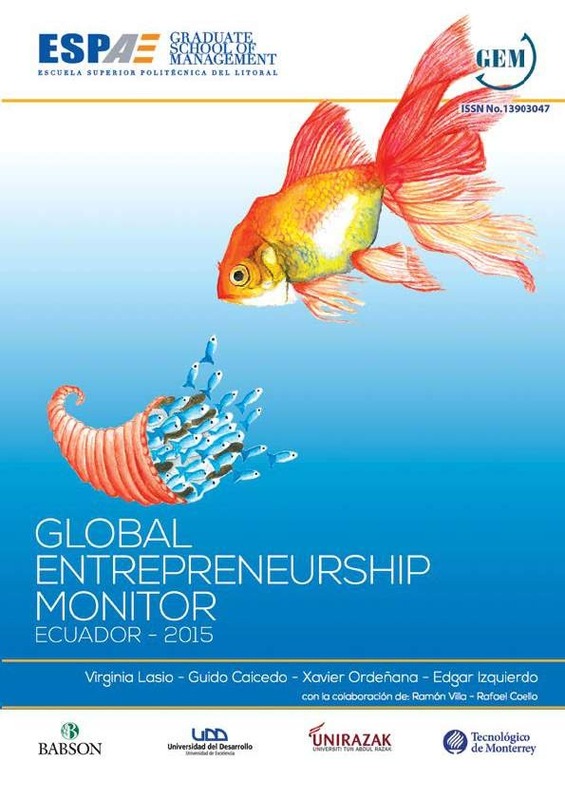 In Ecuador only 1.1 times as many said they started a business out of opportunity. Government policies are considered the biggest constraint on entrepreneurship. There is a need for integrated policies that promote entrepreneurial activity, in particular to support businesses that are innovative and have the potential to grow. However, during the past year several changes in the entrepreneurial ecosystem have taken place. Since 2014, the number of entrepreneurs offering new products or services has doubled, while the number of nascent and new businesses that use innovative technology has also increased. Also, a number of events and organisations have taken root in Ecuador to help develop innovative business ideas. Entrepreneurial communities, hosting pitch nights and meetups, and events such as Startup Weekend, Lean Startup Machine and MIT's Emerging Technologies Conference have all sprung up in recent years. As the country’s entrepreneurial capacity has improved, several co-working spaces, incubators, accelerators and angel investors come to the fore, which has led to the emergence of new funding initiatives such as Startup Ventures and Angeles EC and new government programmes such as Banco de Ideas. Seeking to foster innovative businesses, the Secretary of Higher Education, Science, Technology (SENESCYT) launched the Banco de Ideas programme in July 2014. The programme consists of an online platform where entrepreneurs can register their ideas that are then adjudicated by a panel. Entrepreneurs with those ideas judged to be the best can get seed funding as well as business support from SENESCYT’s network of 16 incubators. Various rounds are held in the year to select ideas. To receive support, projects must be considered innovative (by introducing a new product or service that does not exist in the market), have export potential, or be applicable to the productive sector. During each round a number of finalists are chosen. Their ideas are then evaluated further by national and international market experts, before a number are selected to receive seed funding as well as business support from incubators. By the end of 2015, the platform had more than 13,000 registered users and more than 5,000 ideas. In all, over 260 projects had received technical assistance and 40 of these had received more than $1.85 million in seed capital. Winning projects have come from diverse fields such as Java2Ginga, a digital TV platform; Fayac, an educational spherical puzzle; and Seimo, a project to enable mechanical and electronic adaptations to cars for people with disabilities. 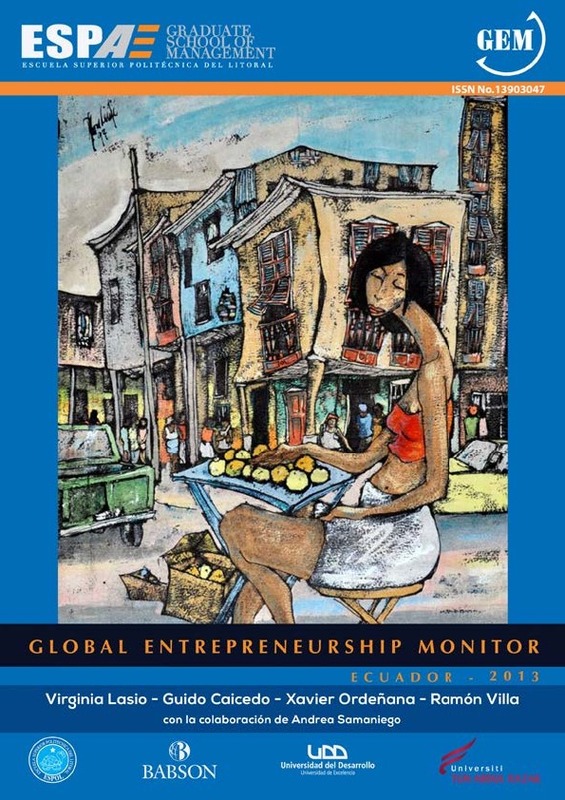 This report provides a comprehensive and detailed account of entrepreneurship in Ecuador, based on a sample of 2060 adults and 37 national experts. 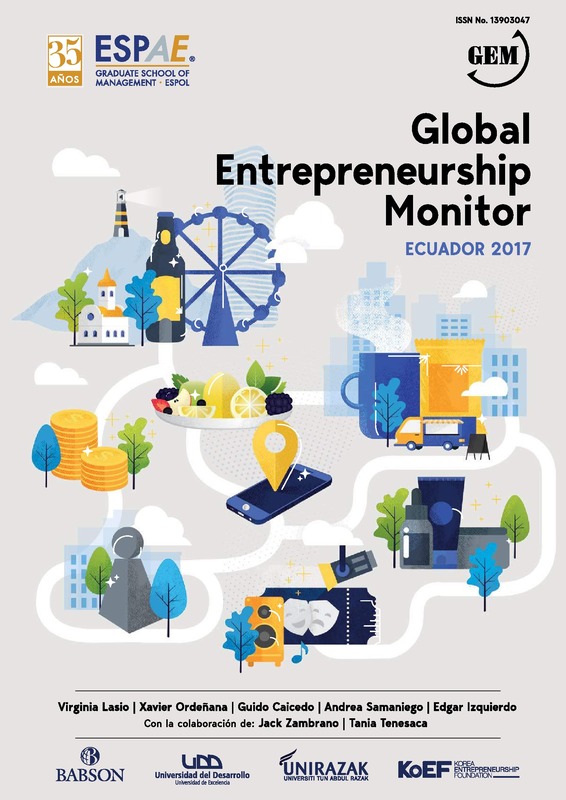 In 2017, around 3 million of Ecuadorians were estimated to be starting or running a new business, based on the Global Entrepreneurship Monitor´s Total Entrepreneurial Activity (TEA) rate of 29.6%, being the highest of Latin America for 6 consecutive years, followed by Peru and Chile; nevertheless, it has gradually decreased since 2013. The difficulties to overcome the threshold of 3 months of operation persist; the main issues are financing and low profitability. En el 2016, el Índice de Actividad Emprendedora Temprana (TEA) para Ecuador fue de 31.8% siendo 2.2 veces mayor al promedio de las economías de eficiencia. 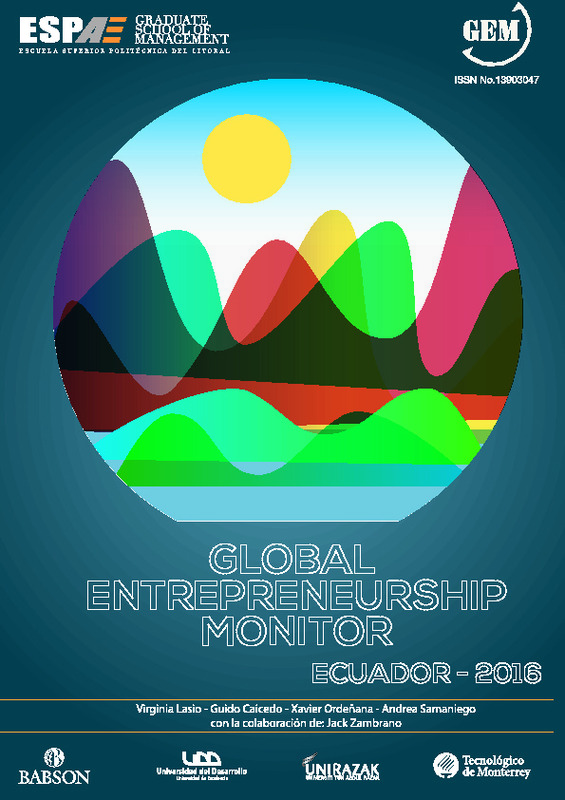 Esto representa una ligera disminución en la actividad emprendedora en comparación al 2015, donde la TEA de Ecuador se ubicó en 33.6%. Pese a esto, Ecuador sigue siendo el país con la TEA más alta en la región, y el segundo entre los 66 países participantes. En el 2015 se obtuvo un Índice de Actividad Emprendedora Temprana (TEA) de 33.6%, esta cifra no ha presentado variaciones importantes en los últimos años. Al poner en contexto la realidad del emprendimiento Ecuatoriano con el resto de economías de eficiencia, se puede observar que la TEA en Ecuador es 2.2 veces superior que el promedio para estas economías. 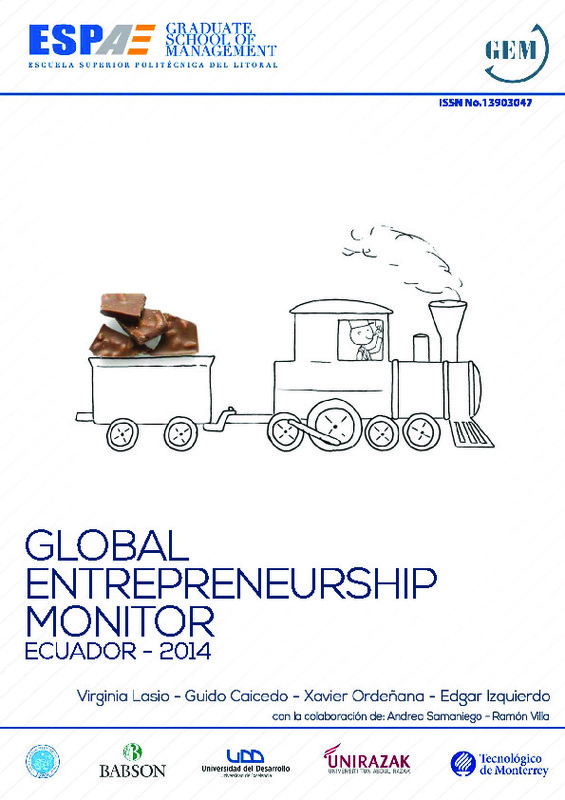 The Total Early-Stage Entrepreneurial Activity (TEA) in Ecuador decreased in 2014 to 32.6% from a peak of 36% in 2013. However, Ecuador remains as the Latin American country with the highest TEA, followed by Peru (28.8%) and Chile (26.8%). It also has the highest TEA among the efficiency-based economies.